AUSTRALIA, THE DOMINANT SPORTING powerhouse among the 71 the Commonwealth countries, have invested into researching India’s cricket performance and how it relates to equity trading at Bombay Stock Exchange and National Stock Exchange of Dalal Street in Mumbai, India. The market cap of BSE stands close to USD 1.4 trillion, and NSE, with market cap of nearly USD 1.5 trillion, is the third largest Stock Exchange in the world in terms of the number of trades in equities. Australia were dethroned by India from #1 spot for ICC test cricket ranking earlier this year, and are being challenged for their spot for the ODI ranking as the contest is on. And their desperation is evident on the field while the Test Series between the two national sides is currently under way. As Sachin Tendulkar, the cricketing legend goes on to slam his sixth double century for India, his second against Australia, (and the only International player to ever score a double hundred in the ODI format of the game), the report by the economists goes on to suggest that when Sachin is playing in good form and ends up on the losing side, the stock-market takes an additional 20% hit on the negative side. "While a win by the Indian cricket team has no statistically significant upward impact on stock market returns, a loss generates a significant downward movement in the stock market. India's main index, the CNX Nifty, shows that the Nifty index was generally flat the day after a win, but the day following a loss, the index dropped by an average of 0.231 per cent. The drop following a loss was more than seven times greater than the movement following a win. 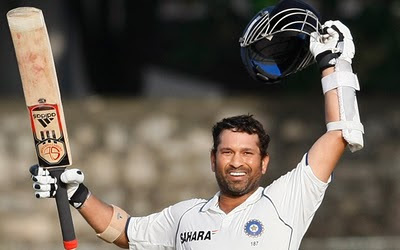 In the 100 matches in which Tendulkar played and India lost, the average return the day after the match was 0.328 per cent, an 18 per cent higher drop compared to the average drop after losing a match (which Tendulkar did not play). A feeling of sadness might make investors withdraw from the world and the stock market, thus resulting in reduced trading for a while, whereas anger might make them behave in an impulsive manner, which might involve selling of a lot of the stocks." Edit: included score details from the 2nd Test match between Australia and India.